Jawbone still has big ambitions to create a waterproof fitness tracker and was so focused on the Jawbone UP3 being pool-proof that it was codenamed after an Olympic swimmer. "Our aspirations were for waterproofing and, internally, our codename for the product was Thorpe – after the swimmer," Jason Donahue, product manager for UP told Wareable. "We really wanted to get there. "We apologise for the delays and we apologise for not getting there yet but it's something that we aspire for the future." The waterproofing problems the San Francisco company encountered led to months of delays for people who pre-ordered the multi-sensor wearable and the company had to bring a splash-proof, rather than a waterproof, product to market. "We had a couple of challenges while manufacturing," Donahue explained. "The big challenge was getting something that was consistently waterproof. "Our manufacturing is done with robotics and there are very fine tolerances that are allowed. The tolerances to get to waterproofing were a little bit too specific, too narrow for our machinery." The Jawbone product manager explained how, eventually, compromises had to be made in order to realise the device's form factor. "Our option was to increase the size of the UP3, to allow for the tolerances, but we decided that was something we were not prepared to do," he said. "At the end of the day, making sure that our product was wearable and small, and beautiful is much more important to us." Donahue also told us that the decision to part company with Fullpower Technologies and its MotionX tech – essentially the brains behind the activity tracking in previous UP wearables – was one that Jawbone made, rather than the other way around. "We now have the expertise in house, in terms of algorithms, and we wanted to have a bit more freedom to push things we wanted to explore further," he explained. "When you have full control it's much easier to make tweaks on the fly." Earlier this year Fullpower CEO Philippe Kahn told Wareable "Thank god we have nothing to do with [the UP3]. Zero per cent of the tech on the device is ours. It's not the right device and they're also having a hard time getting it out." Some early Jawbone UP3 reviews have been less than favourable for the new flagship tracker, although we'll reserve judgement until we've had time to fully test our sample and fully submerge ourselves in the new Smart Coach system the app offers. 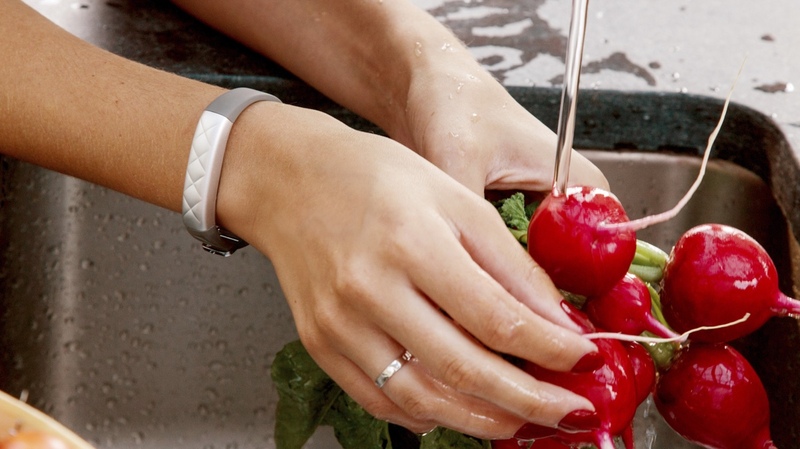 The Jawbone UP3 costs $179.99 and is the natural successor to the popular Jawbone UP24. The company also recently announced the more budget friendly Jawbone UP2, essentially a redesigned UP24.